This is the second in a two-part series about bringing your sales coaching into the twenty-first century. Click here for part one. There’s a perception around old-school management that coaching takes salespeople away from selling (preventing maximum revenue generation). The problem is that research shows organizations with a formal sales coaching process driven by data achieve higher quota attainment, not less. We know that sales coaching is effective, but only when you have a formal process in place. Here are three basics you need to build your formal sales coaching method. 1. Assess personal and professional goals. This seems obvious. Rudimentary, even. But it wouldn’t be on this list if it didn’t need to be said. Your sales reps are not robots. They have career aspirations. They desire to achieve at work and at home. If you want maximum productivity from your reps, their job has to fulfill their needs. That’s why you must understand each individual rep’s goals, and ensure that their day-to-day activities are aligned with them. Many sales reps aspire to sell bigger deals or take on different roles in the company. Sales coaching is imperative to prepare them for that. Your weekly one-on-ones should both increase their abilities in their current role and propel them toward their desired future. You don’t need to discuss these goals at every one-on-one session with reps, but you should keep them in mind. A best practice is to review those goals once a month to ensure alignment and progression. This shows your team that you care and reminds them what they’re working for when things get tough. 2. Measure and guide sales activities. Managing sales activities is not old school. Assigning sales reps a monthly quota and expecting them to figure out how to get there through trial-and-error is. Of course, you always need to track outcome metrics like revenue and market share. But you must also track and manage the inputs that are driving those outcomes: sales activities. If you read the first part of this series, then you already know that operating metrics are essential for sales coaching. But you also need a way to track them regularly so that you can bring them to one-on-one sessions. 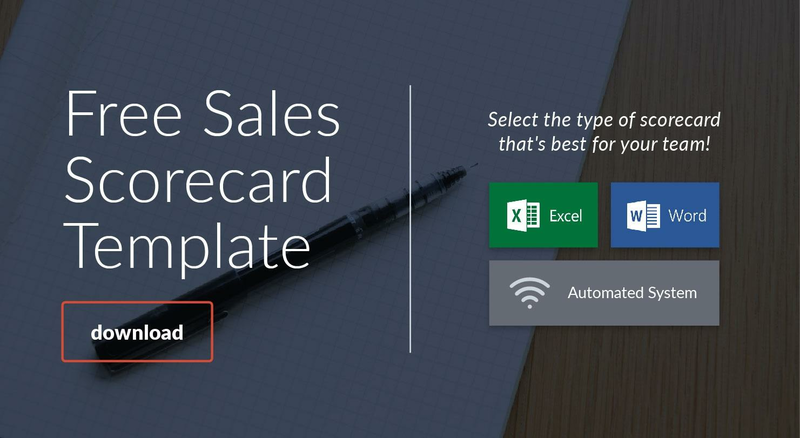 Some managers use Google Drive or Excel spreadsheets to create a sales scorecard and track activities manually. A sales activity management system automatically tracks activities, provides a sales scorecard within your CRM and even sends alerts when pacing to goal falls behind. Your operating metrics are the roadmap to closing business for your team. But you also need to make sure that reps are performing the right number of the right activities to ensure they’re on track to achieve quota. 3. Review pipeline data with a coaching mindset. Old-school sales managers only focused on what’s closing. Most (if not all) coaching sessions were merely pipeline reviews, where the only piece of advice for reps was to “hammer those phones” or “go close more business” — neither of which are very helpful tips. You should absolutely review a sales rep’s pipeline during their coaching session. And absolutely keep a close eye on what’s closing. But you also need to provide actionable feedback for how reps can improve. Review pipeline and activity data, and identify bottlenecks in the process. Is your rep making tons of calls but not having any meetings? Coach them around their cold-calling technique. What about the rep who hasn’t sent out enough proposals this month? Perhaps they need help hosting better discovery meetings. Make sure that your rep walks away with one or two ideas to improve their performance that week, and then review how they did with those in your next one-on-one session. Coaching sessions must be frequent to consistently affect performance. Consider scheduling them once a week or every other week. Use these three sales coaching essentials to build a valuable process. Research shows teams with a formal sales coaching process driven by data achieve higher quota attainment. Here are the 3 things you need to build your own.